In the constantly changing marketplace, audience perceptions of an organization’s brand gradually shift, and this affects the organization’s bottom line and its ability to compete. In order to remain competitive and profitable, business leaders become eager to evolve their brand and re-establish their market position. The fear of being left behind often leads to a knee-jerk reaction: Let’s rebrand! However, while an organization’s brand is a critical ingredient to its business growth (and survival) strategy and needs to evolve, the decision to rebrand should not be a rushed response to the changing market dynamics. The existing brand no longer aligns with the organization’s business strategy, goals and priorities. Fundamental organizational changes – such as expansion into new markets, addition of new products or services, focus on new target audiences, changes in management, merger or acquisition, stronger competition, rapid increase (or, in the current economy, decrease) in company size, or persistent recruitment challenges – require new positioning strategy. The existing brand perception, message and image are outdated and no longer reflect the organization’s current standing in the marketplace. The brand image and message have become a patchwork of weak and inconsistent parts that no longer fit together, a fixer-upper that requires some TLC or, perhaps, a complete rehabilitation in order to stand tall again among its competitors. For more help with conducting a brand assessment and developing a rebranding road map, download our free Brand Toolbox. What are you trying to accomplish? Increased brand visibility? Changed brand perception? Greater market share? Better awareness of products or services? How does your brand measure up in the context of the target markets? What is your brand’s current position? Is there a gap between your current versus your desired brand perception? How are your competitors positioning themselves in each of your organization’s target markets, and how are you different? How effective are your existing marketing communications? Do they clearly convey the desired perception, message and unique positioning for your organization? What are your budget, timeline and resources? What can your team accomplish in-house? What are your strengths and skill gaps? Where would your effort benefit by seeking the help of an outside consultant or a brand communications firm? The answers to these questions will help inform your brand strategy. A common mistake is to view the rebranding process and its outcomes as a series of design or marketing projects, when, in reality, it is a fundamental cultural shift permeating the entire organization and, therefore, requires rigorous research, thoughtful analysis and strategic insight at all points in the process. Rebranding requires uncovering deep-seeded company values and collecting objective stakeholder feedback. It also requires analytic and creative thinking about what the brand needs to become in order for the new positioning and brand platform to meet all business objectives, help the brand [re]connect with audiences, and inspire action. A brand is much more than a logo or a tagline. A multitude of tangible and intangible elements add up to create a positive or negative brand experience. And in order for a rebrand to create deeper differentiation and deliver faster ROI, it must become much more than a series of superficial, stylistic changes. Memorable. The ultimate goal is to create a lasting connection with your audiences and to influence how they think about your organization. Relevant. Your ability to relate directly to your audiences’ needs and desires will determine whether they take note of or disregard your brand and, therefore, what your organization offers. Resonant. Long-term brand loyalty requires a strong emotional bond between your audience and your brand, achieved through targeted, effective, emotional communications that distinguish your organization from the competition. It is critical to remember that an organization’s brand doesn’t live in the marketing department – it spans the entire organization and every single point of contact, planned or unplanned, between the organization and its audiences. Rebranding may or may not be the right solution for a business strategy; performing accurate analysis before deciding to rebrand is critical. 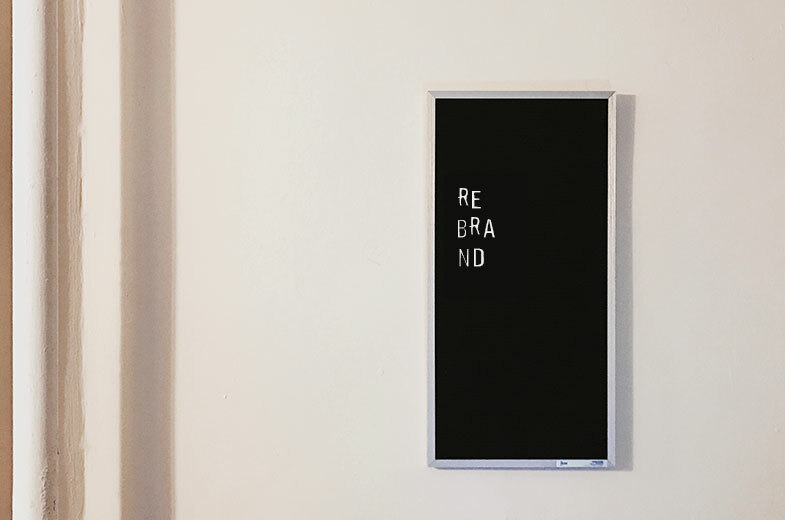 Rebranding is more than a facelift – it’s a deeper change in an organization’s philosophy and culture and, therefore, requires a disciplined and strategic approach. Objectivity often requires insight from an independent third party; an outside brand consulting firm can assist with some, or all, of a rebrand. A new brand strategy and a brand platform that results from it are a foundation; the mastery of execution is paramount to produce results. Rebrand doesn’t live in the marketing department alone – the process should engage the entire organization and all stakeholders in order to fully leverage internal and external resources and engage audiences at every touchpoint. Also read: Rebrand vs. Refresh: What’s Right for Your Company? Building a strong brand is anything but easy. To assist you with the entire process – from conducting your brand audit through rebranding, we’ve developed this Brand Toolbox. The Rebranding Challenge: What’s an In-House Marketer to Do? Is Your Brand Strategy MIA? Do You Understand the Anatomy of Your Brand? Substance151 helps companies develop comprehensive brand platforms and translate them into powerful brand engagement and marketing programs. Contact us at 410-732-8379 or brand@substance151.com and let’s discuss how we can define your brand’s anatomy and put it to work for increased marketing muscle and, ultimately, business results.